ABSTRACT: The ongoing explosion of spatiotemporal tracking data has now made it possible to analyze and model fine-grained behaviors in a wide range of domains. For instance, tracking data is now being collected for every NBA basketball game with players, referees, and the ball tracked at 25 Hz, along with annotated game events such as passes, shots, and fouls. Other settings include laboratory animals, people in public spaces, professionals in settings such as operating rooms, actors speaking and performing, digital avatars in virtual environments, and even the behavior of other computational systems. In this talk, I will describe ongoing research in using imitation learning to develop predictive models of fine-grained behavior. Imitation learning is branch of machine learning that deals with learning to imitate dynamic demonstrated behavior. I will provide a high level overview of the basic problem setting, as well as specific projects in modeling laboratory animals, professional sports, speech animation, and expensive computational oracles. BIO: Yisong Yue is an assistant professor in the Computing and Mathematical Sciences Department at the California Institute of Technology. He was previously a research scientist at Disney Research. Before that, he was a postdoctoral researcher in the Machine Learning Department and the iLab at Carnegie Mellon University. He received a Ph.D. from Cornell University and a B.S. from the University of Illinois at Urbana-Champaign. Yisong’s research interests lie primarily in the theory and application of statistical machine learning. He is particularly interested in developing novel methods for interactive machine learning and structured prediction. 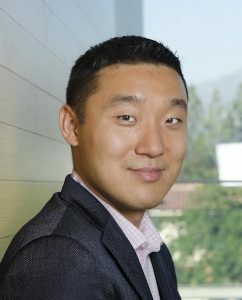 In the past, his research has been applied to information retrieval, recommender systems, text classification, learning from rich user interfaces, analyzing implicit human feedback, clinical therapy, tutoring systems, data-driven animation, behavior analysis, sports analytics, learning to optimize, policy learning in robotics, and adaptive planning & allocation problems.